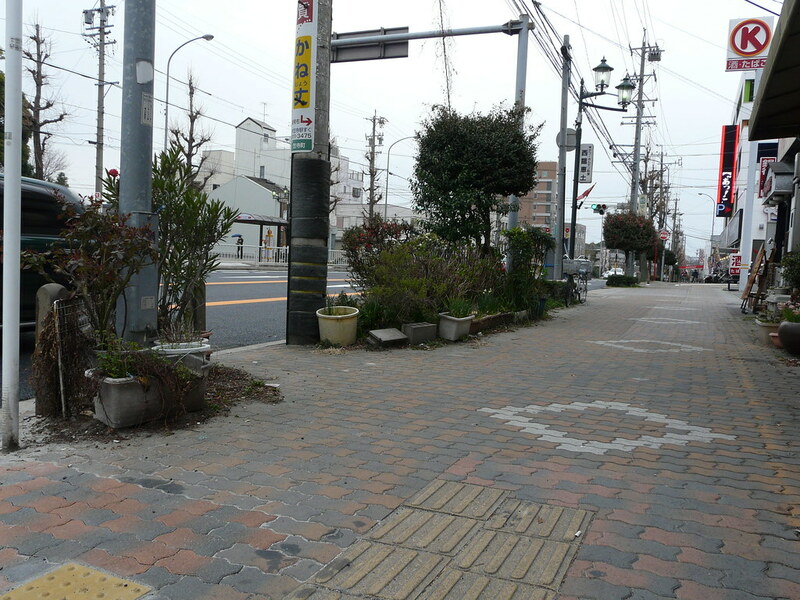 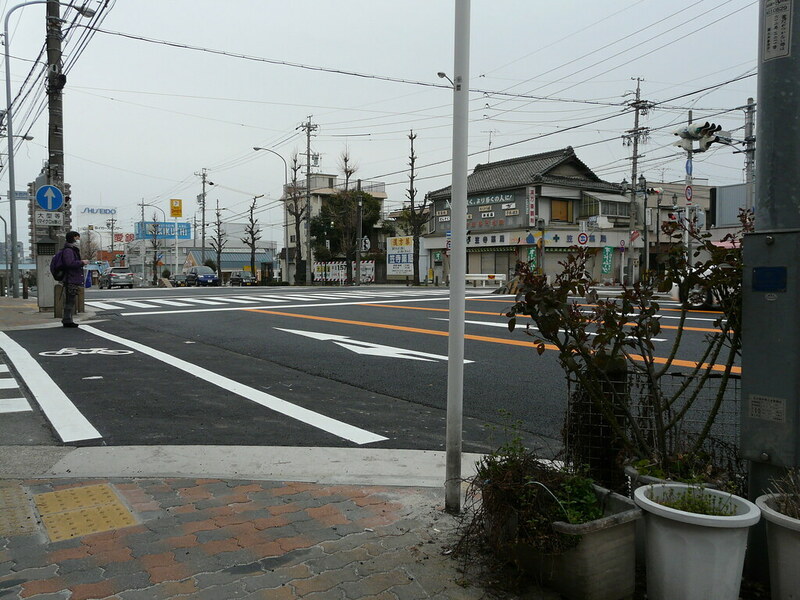 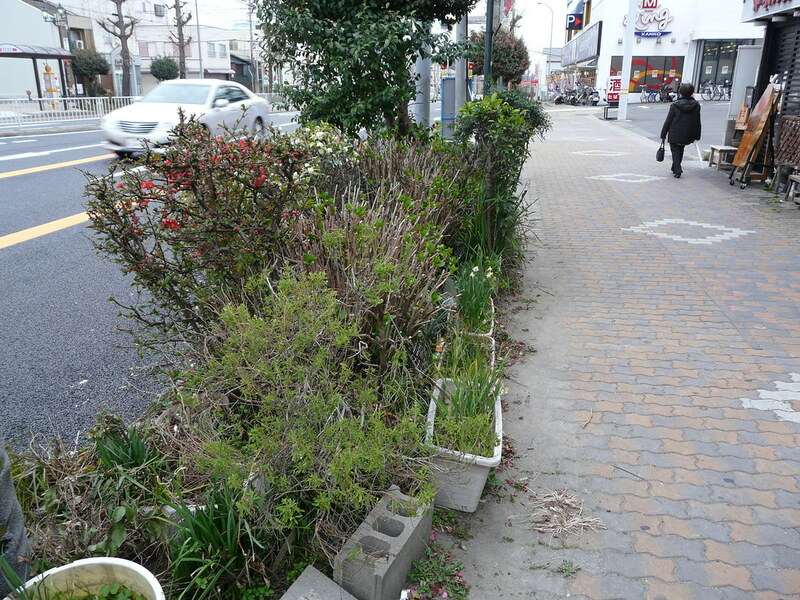 This rambling garden along a strech of 4-lane residential road illustrates the blurred, conjunctive nature of Tokyo gardening (although this example is from Nagoya). 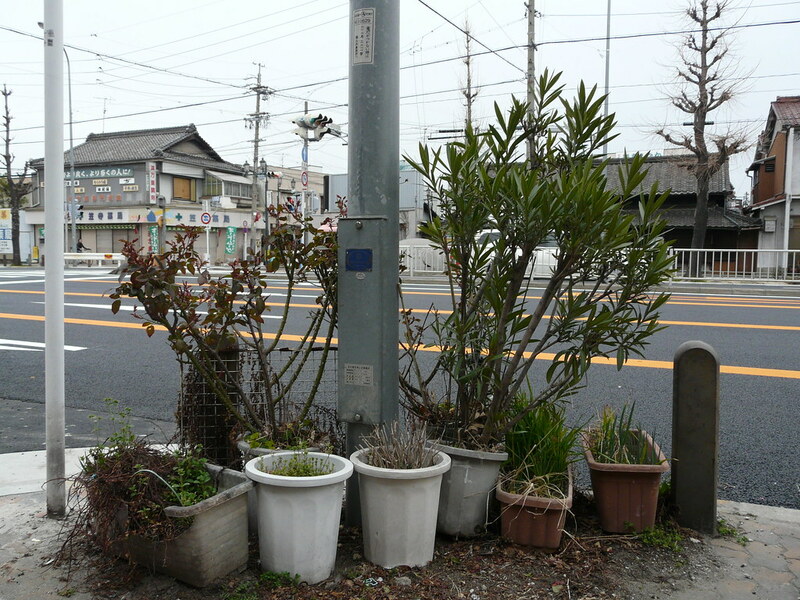 Pots, blocks, dirt and plants sit, stand on and burrow over and into each1 other in a rich semi-autonomous mess. 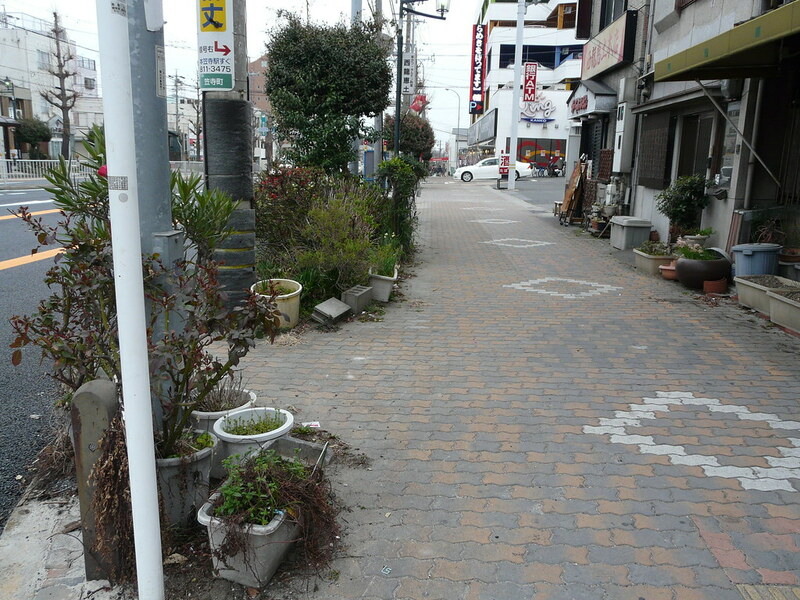 Compare this to the modular, constrained and connected formal gardens and green spaces of the financial district.